Superior winter durability, persistence and ground cover. Hardy amenity ryegrass is the backbone of a quality winter sports turf seed mixture providing fast establishment, reliable and consistent growth plus total player confidence during a match – in any weather conditions. 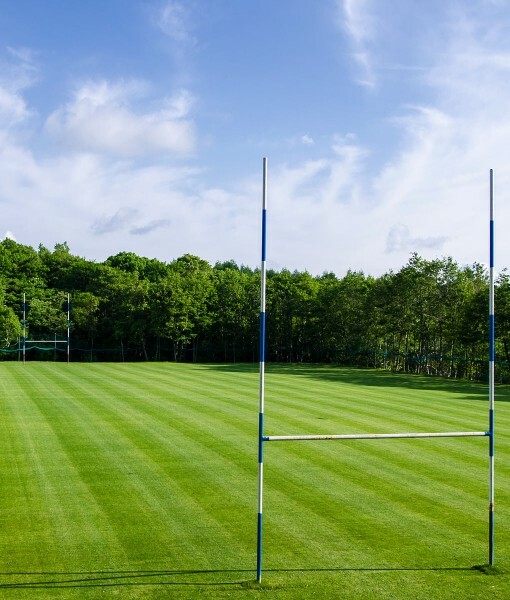 This specific Rugby Field grass seeds mixture is designed to create a tightly knitted sward with a high shoot density minimising tearing degradation of the pitch surface. This is imperative for sound stud purchase and contributes vastly to safe, footsure play, particularly on softer ground. Allow the new seedlings to establish to a height of approximately 75mm before initially cutting to 50mm. This helps promote tillering of the amenity ryegrass. Thereafter reduce with each mowing until the desired height is obtained. Rugby Field = 7000 sq m (not including dead ball areas).